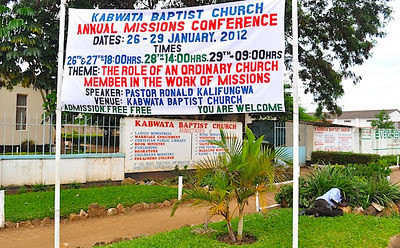 A Letter from Kabwata: Our 2012 Missions Conference—What A glorious Time It Was! 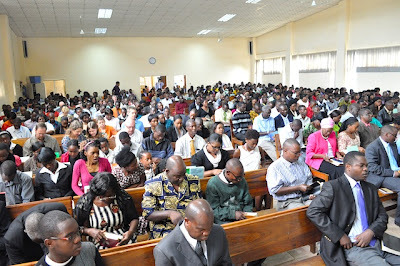 Our 2012 Missions Conference—What A glorious Time It Was! “The Holy Spirit said, ‘Set apart for me Barnabas and Saul for the work to which I have called them.’ Then after fasting and praying they laid their hands on them and sent them off” (Acts 13:2-3). Straight from our missionaries’ prayer retreat (which I reported on in the last two blog posts), we began our in-house missions conference—and what a conference it was! It ran from Thursday 26th to Sunday 29th January 2012. Whereas we had begun our missionaries’ prayer retreats many years ago, this was only our fifth missions conference. We are glad to note that it has not yet fallen into the category of “one of those things,” which members do not really bother about. I would like to urge Zambian and African evangelical churches to include missions conferences in their annual calendars. As I wrote in my blog this time last year, I wish we had started this earlier. It has really put our involvement in missions work in top gear. This is not a marketing gimmick. I can safely say that our missions involvement would probably be less than 10% of what it presently is if it was not for our in-house missions conference. 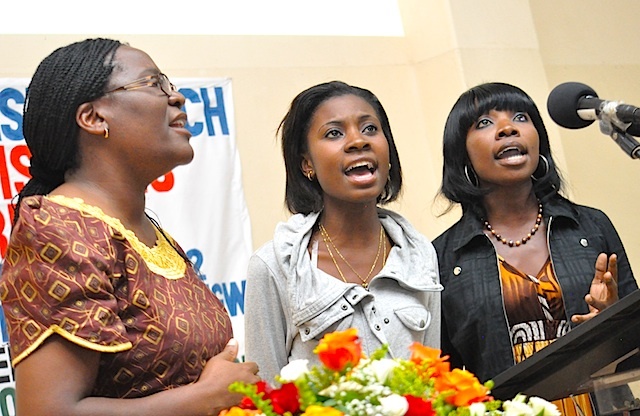 Our missions conference has three goals. The first is to increase prayer for missions. This is done as our missionaries give presentations on how their work has been in the last one year and what they are hoping for in the year to come. The second is to increase workers for missions. At every missions conference, we send out pleas in the congregation for more church members to answer the call to missions. The third goal is to increase finances for missions. We urge members to pledge a one-off amount during the conference and a monthly amount for the rest of the year. The exponential growth has been particularly observable in the area of finances. In order to ensure an increase in prayer support, as I have already said, the missionaries prepare PowerPoint presentations and share them with the members. KBC presently has eleven missionaries and ten other mission stations without missionaries. So, it was not possible for all of them to show us what they were doing during these few days. However, from the few whose presentations we saw, it was so encouraging to see the people in the mission stations and the work taking place there. Some situations were more challenging than others. Yet all mission stations called for more intense prayer support. It was nice to notice that the presentations improve every succeeding year. 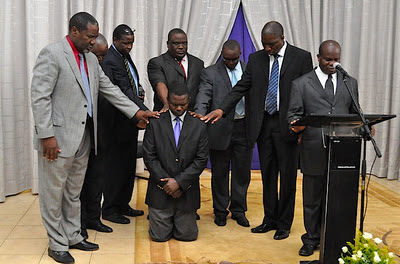 This year our preacher was Ronald Kalifungwa, pastor of Lusaka Baptist Church. 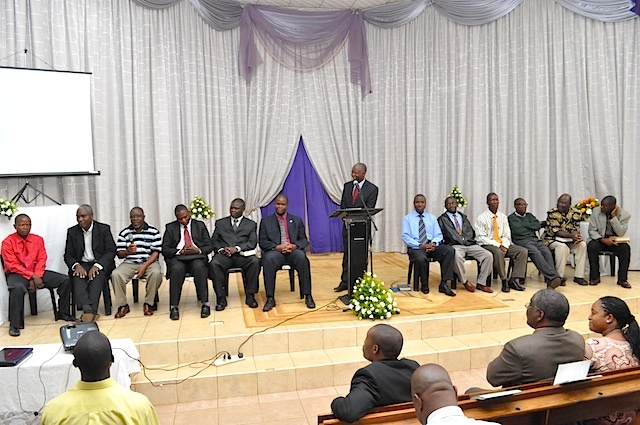 The theme was “The Role of Ordinary Church Members in Missions”. 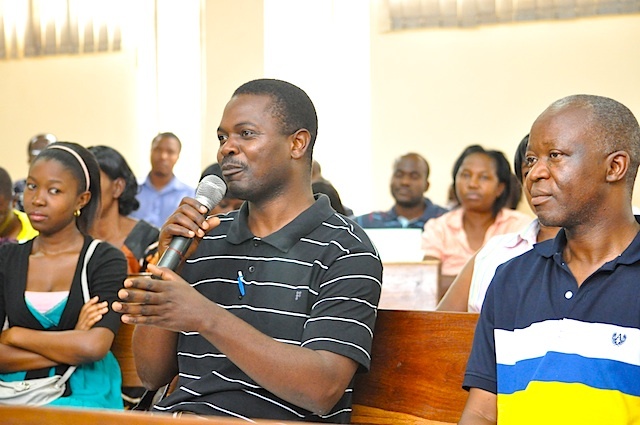 On the first day (Thursday), Ronald urged our members to make KBC a true spiritual home for missionaries. 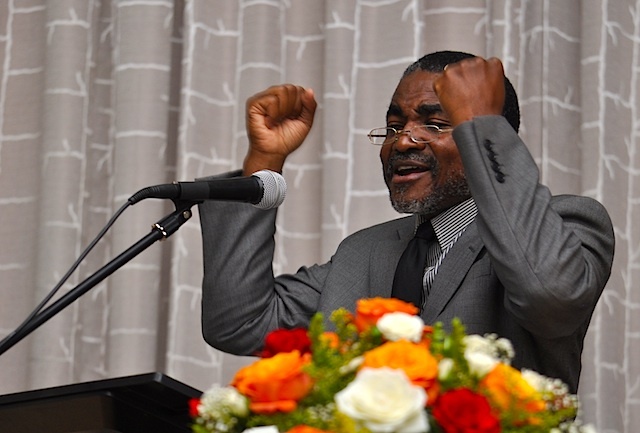 On the second day (Friday), he preached on the importance of each member contributing financially and in practical ways to the work of missions. On the third day (Saturday), he preached to us about ensuring that prayers are ever rising to God on behalf of the work of missions. And finally, on the fourth day (Sunday), he preached on the various imperatives that go with the preaching ministry. This was an ordination address because we were ordaining yet another missionary. Sunday, the last day of the conference, was particularly special because of two reasons. The first was the ordination of Kasango Kayombo as a missionary. He is presently one of our deacons and has already been very active in a church plant that we commenced officially at the start of last year. The more he laboured there the more his sense of call was confirmed, both in his own heart and in those who witnessed his labours. Hence, when last November he came to the elders asking that he be set apart as a missionary, both the elders and the congregation gave him an overwhelming endorsement. Sunday was the culmination of the whole process. It felt like the church in Antioch (Acts 13:1-4), only they sent two of their elders. What a joy it was to see yet another soldier being sent out to the battlefront to fight for the salvation of souls and the crown rights of Christ! The second reason why Sunday was special was because that is when we take the offering and pledges for the work of missions for the next year. 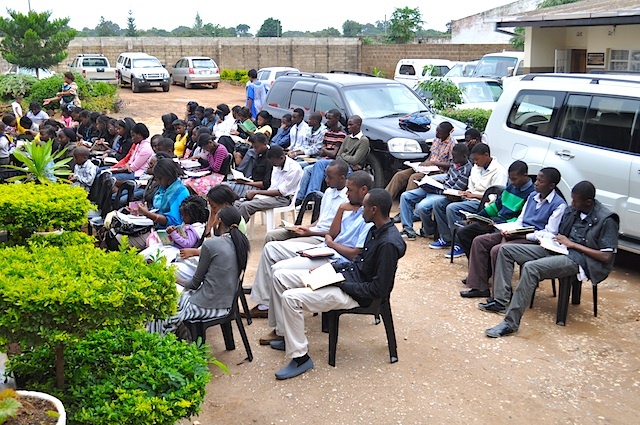 We then have lunch together before we announce the figures to the congregation. We call this, “The grand announcement.” I will admit that, as a pastor, this is usually my most anxious moment. 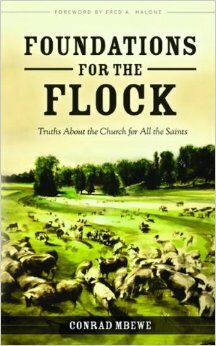 I will also admit that so far I have felt totally rebuked afterwards for my lack of faith in God and in God’s people. This year was no exception. The church gave twice the amount that we targeted for the one-off amount and the monthly pledge went up by 36%. Whereas the one-off amount is as good as banked (and distributed to various projects in the mission field), pray for our members to remain faithful in fulfilling their monthly pledge to the work of missions so that our missionaries can be well supplied. As yet another missionary conference comes to an end, I do not pat KBC on the back because I know that there is much, much more that we can do. However, when I look at the little that we have been able to do thus far, and then look at the potential that lies untapped in our conservative evangelical churches in Zambia, and in Africa as a whole, I wish that all our churches had such conferences. 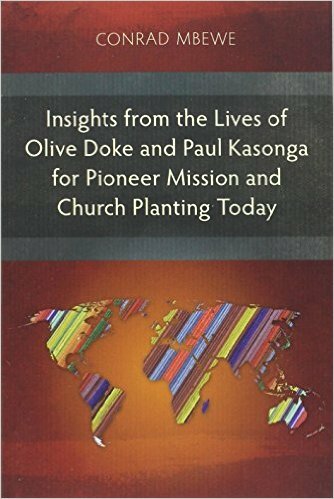 We need to give the work of missions a more visible place in our church calendars. 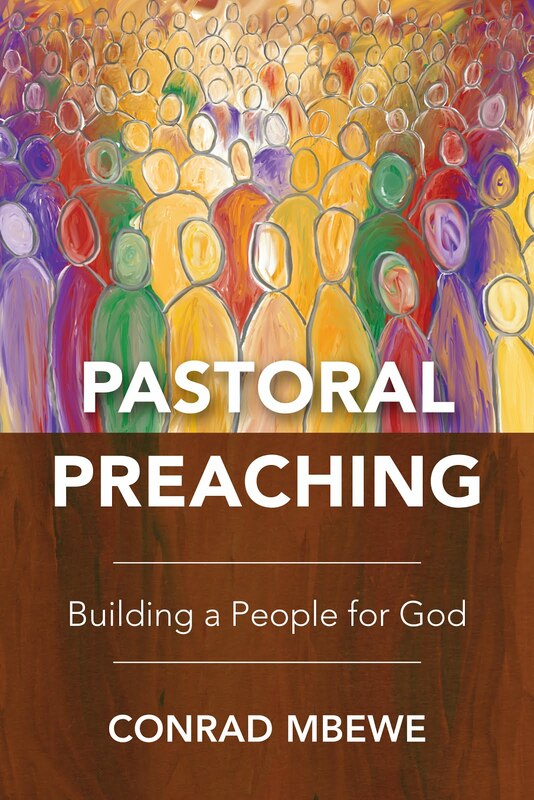 Pastors must campaign for the work of missions. Missiologists will tell you that Africa has the potential to become the next greatest force for world missions. Oh, that we may wake up this sleeping giant! What a fitting occasion for the ordination of KBC's newest missionary pastor, coming right on the heels of the Missions Conference. 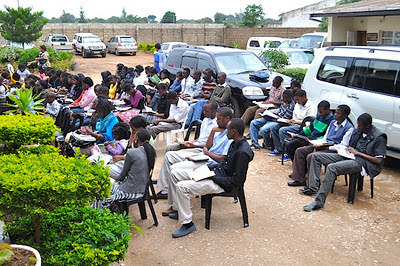 We thank God for raising up this able man to labour in this growing and expanding eastern corner of Lusaka. Kasango was one of the deacons that was serving at Trinity Baptist Church in Kitwe when I commenced my ministry there in 2001. He proved himself a faithful servant in our outreach to the young people, and I would always count on him to step into the pulpit at short notice. Over the last few years, each time I ran into Mrs. Kayombo at the school where our children go, I would jokingly greet her with these Bemba words, "mulishani bana mapepo." (How are you Mrs. Pastor). The lively answer and wide grin I had always received from her suggested in more ways than one, that it would not be long before the Lord unleashed our brother onto the harvest field. I am sorry that I missed the ordination due to the short notice and the urgent ecclesiastical matters that required my presence on that Sunday. We did remember to pray for him and his family and the occasion. May the Lord prosper his ministry and cause the gospel to triumph in Ibex Hill and the surrounding areas. To God be the glory! !